In a move I haven’t made since the very first day of the year, I’m using my own quote. It has often been suggested that while, as the human race, we have learned more as we focus intently on subject, it’s possible that we are completely blind to things going on around us. What do you think? 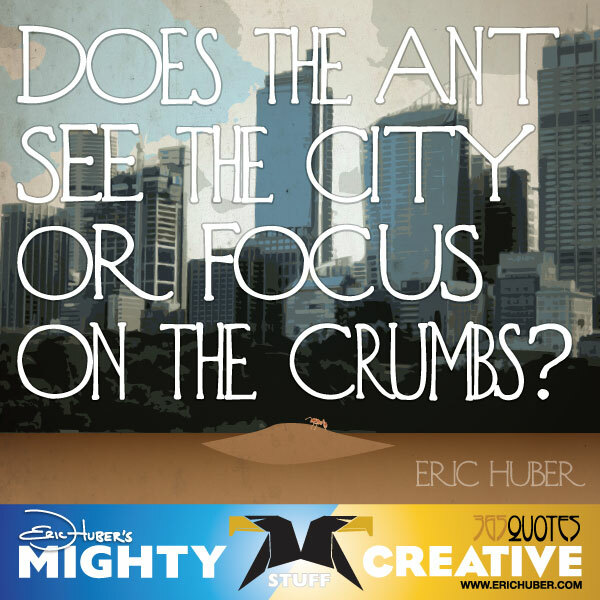 Does the ant see the city or focus on the crumbs?